Heartside Gleaning Initiative provides hundreds of pounds of fresh produce each week to Heartside residents, food pantries and missions thanks to generous farmers and volunteers. Every Saturday from mid-June to mid-October, a dedicated group of volunteers and Heartside residents gather to collect donated and unsold produce from the Fulton Street Farmers Market and distribute it to local residents, missions, and food pantries in Heartside and greater Grand Rapids. The practice, known as gleaning, has grown into the blossoming nonprofit Heartside Gleaning Initiative, which has distributed more than 61,000 pounds of food to local residents and food assistance programs since 2014. It’s a community-based effort that goes back to 2008. 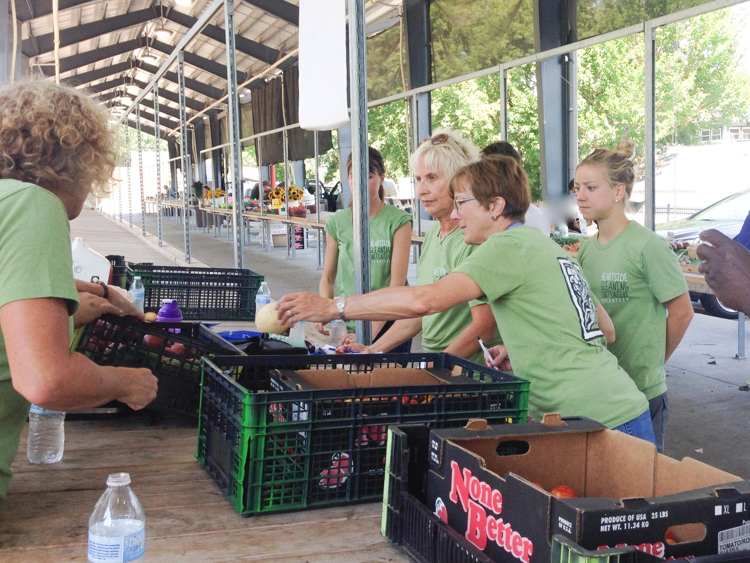 Lisa Sisson, a registered dietician and Grand Valley State University professor, helped found Heartside Gleaning after meeting Susan Couzens, a community health nurse at Dégagé Ministries. At the time, Couzens was working with local residents on better nutrition and health outcomes. Volunteers prepare produce to be distributed. Sisson embarked on a research project in 2010-11 examining the lack of access to fresh food in the Heartside neighborhood and looked at other gleaning programs across the country. She called a community meeting in fall 2013 and proposed a formal gleaning program that started in June 2014. Besides the lack of grocery stores in Heartside, most residents are low-income or living in poverty, are disabled or homeless, lack transportation, or live in apartments with inadequate cooking facilities. It’s difficult to ride the bus to the grocery store, so they often frequent corner stores, food pantries, and soup kitchens, Sisson says. While a lot of food is donated to food pantries and missions in Grand Rapids, little healthy, quality food is reaching the residents who most need it, she says. Sisson also worked with God’s Kitchen to evaluate the nutritional value of meals served there. Heartside Gleaning Initiative operated on a $3,000 budget and was all-volunteer until this spring, when the board hired Executive Director Eleanor Moreno on a part-time basis to help grow food collection and distribution sites and make it a year-round effort. HGI hosts multiple fundraising efforts and won the GVSU 5x5 night competition in 2016 plus welcomes individual donations. Moreno also works at SECOM, a healthy hub and resource center at 1545 Buchanan Ave. SW, where residents can access healthy food, education, and other programs for healthy living. Right now, the Fulton Street Farmers Market is the only participating market, and volunteers go there every Saturday around closing to glean unsold produce. Volunteers are always welcome and can sign up via HGI’s website, and these volunteers usually include a mix of board members, college students and community members interested in food issues. HGI’s board has three members from the community, and besides providing access to fresh food, the larger goal is to build relationships with residents and empower them to make healthier choices. The organization receives anecdotal evidence that people have lost weight, lowered their blood sugar, and are better able to manage chronic conditions. One former board member improved her diabetes and reconnected with her family in North Carolina and has since moved back there, earned her GED, and enrolled in college, says Sisson. Another was previously unemployed and now works as a substitute teacher for Grand Rapids Public Schools. Bruce Barresi, a Heartside resident, worked with Couzens to improve his health, joined the HGI board and is a regular volunteer. He says the food at food pantries tends to be canned goods, packaged or outdated, so it’s nice for residents to have access to fresh produce. 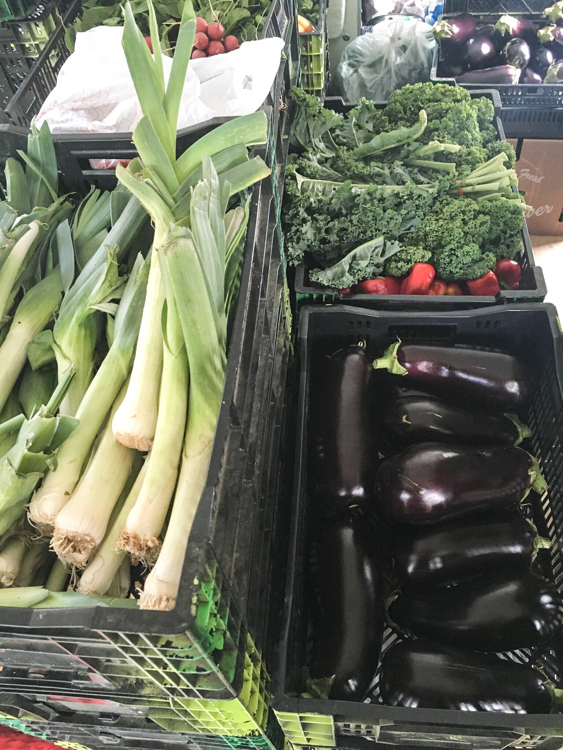 The group’s first stop after picking up produce at the market is Guiding Light Mission, where they set up from 3 - 4 p.m. and Heartside residents have first pick of the week’s bounty. The program relies on the honor system and residents can take whatever they feel they need. Many Heartside residents are disabled, chronically ill, or have limited mobility, so another goal to reach more residents is to assemble healthy food boxes and deliver them to homes for those who cannot travel to Guiding Light, says Sisson. HGI also partners with other missions, soup kitchens, and food pantries to distribute any leftovers, and some sites hold cooking and nutrition classes for residents. 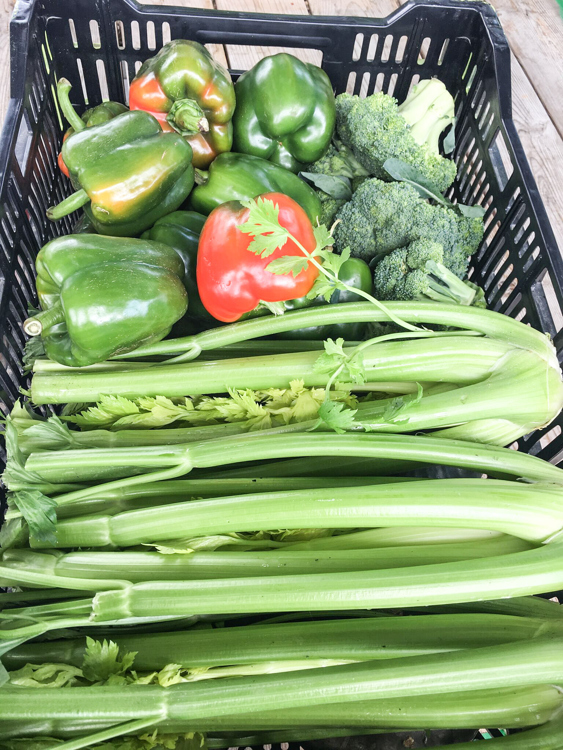 Some organizations come and pick up the produce, or HGI volunteers take it to the various sites and leave it in a cooler so it’s ready when the pantries open on Monday. God’s Kitchen, Degage Ministries, and Guiding Light Mission are original community partners, but the program grew quickly to expand beyond Heartside, including: United Church Outreach Ministry (UCOM), SECOM, First Christian Reformed Church, The Dwelling Place, Mel Trotter Ministries, The Other Way Ministries, and The Pantry. Even if families have a Bridge Card, which they can use for Double Up Food Bucks at participating farmers markets, many don’t have the means to get there. HGI’s deliveries are free to the pantry and participants. Eventually, the goal is to glean from more farms, restaurants, and wholesale producers, with the focus on fresh, locally grown produce, as well as to increase distribution sites. Educating food pantry volunteers on proper storage, uses and encouraging people to take it is another key to making it successful. The whole effort would not be possible without the farmers, and Sisson says 90 percent of vendors at Fulton Street Market participate. It also helps cut down on food waste and greenhouse gas emissions, making it a win for farmers, residents in need and the environment. Marla R. Miller is an award-winning journalist and professional writer based in West Michigan. Learn more about her by visiting her website or Facebook.